“Michael is very quiet,” ninth grader Michael Del Rio said. 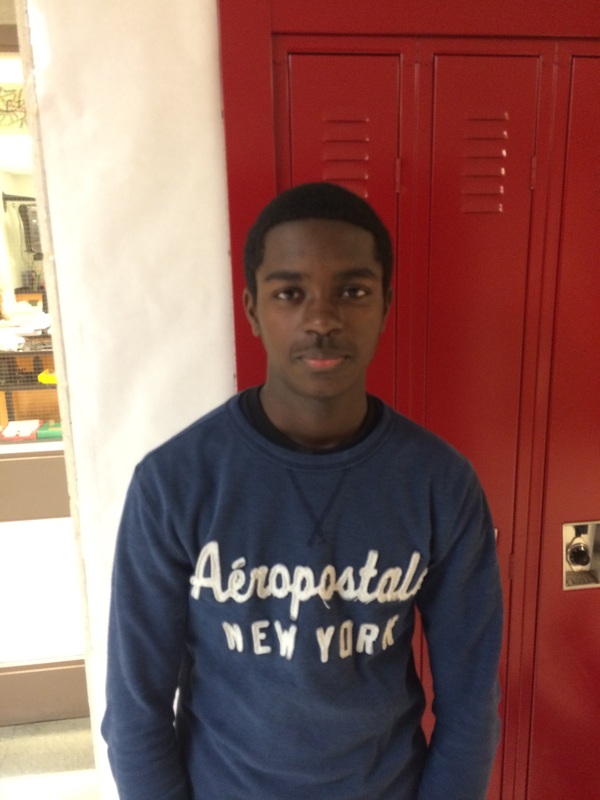 Michael Levoux is a student who enjoys playing football and basketball. He was brought into this world on 9 September 1999. He enjoys school for the most part, and his favorite subjects are math and gym. Michael enjoys wearing Aeropostale and Hollister in all four seasons, but especially in the summer, which happens to be his favorite season. His favorite musical artist is Beyoncé because he thinks she’s beautiful. His future plans include being a professional athlete in either the NFL or the NBA. If you catch him watching TV, he will most likely be watching The Dark Knight or Keeping Up with the Kardashians. His home life is very stressful due to his three sisters and two brothers. Levoux also enjoys creating beautiful pieces of art that express his deepest thoughts and feelings that cannot be put into words.